Intentional Health/Intentional Health Hawaii Inc. is looking forward to 2018 for a one of a kind retreat in Hawaii. Intentional Health Hawaii is a one-of-a-kind Colonic Training Certification Course in a retreat style setting. The course is given as a unique style of learning on the grounds of Hawaiian Sanctuary in Hawaii. The retreat is a 7-day stay on the Big Island of Hawaii (The Healing Island) at The Hawaiian Sanctuary, located in Pahoa, Hawaii. 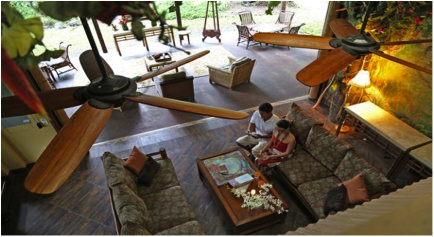 Hawaiian Sanctuary is an Eco-Retreat & Permaculture Center. Retreats, workshops, special events and classes are just a few ways that Hawaiian Sanctuary celebrates community and self-development. Your certification retreat will be facilitated by Lynda Newton of Intentional Health California and “Kealoha” (The Beloved) Terra Ann of Intentional Health Hawaii Inc., Pahoa, Hawaii. This certification course offers a unique opportunity for anyone wanting to practice colon hydrotherapy, to fine-tune your skills, to review and update your expertise. It is for dietitians, nutritionists, health and fitness instructors, beauty estheticians, nurses, doctors, and those seeking a fulfilling career change. – Anyone wanting to evolve, their own healing and the healing of others. – Anyone looking to include good nutrition as part of their lifestyle. – An enhancement for any and all complementary modality therapist. – This is a course aimed at those looking to work in holistic healing. – Start your own practice or work for a Colon Hydrotherapist. – Include these skills in your tool box. Along with the colonic training, you learn other modalities to take with you. You will learn how to incorporate these modalities and colon therapy into your life plus generate income today. This CHT (Colon Hydrotherapist) certification will allow you to transform yourself educationally in colon health and gain the skills to help transform the health of others. This is a valuable experience to make or increase your income by doing what you love. You can increase your income while making a massive, positive difference in the lives of others. While here, you will experience a diet and life-style change while experiencing an emotional detox by unwinding and relaxing in a Hawaiian paradise. 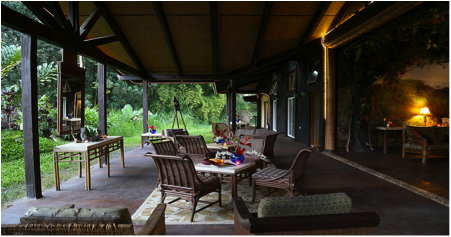 Fall asleep to the sounds of nature and awaken in a beautiful, tropical rainforest. This 7-day Edu-Vacation includes your textbook, hands-on, supervised and practical application. Daily homework and tests are part of the learning process. You will be well prepared for daily exams. Daily exams are given to eliminate one large test at the end of the week. Certificates are earned at the successful completion of the retreat training in a Hawaiian Style Graduation Celebration. Your class room where you will experience a TROPICAL EDUCATION in the spirit of ALOHA. To visit our photo galleries click on the link below. Please understand that, due to the nature of group travel and circumstances beyond our control (weather, traffic, delays, etc. ), schedules and venues are subject to change without notice. “Kealoha” Terra Ann of Intentional Health Hawaii Inc.